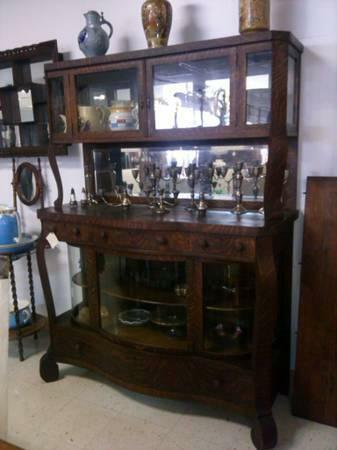 CHINA CABINET oak in exc cond; Table 70 x 42 inclds 4-12"
Beautiful Oak China Cabinet. Over 100 years old, but in excellent condition. Original glass. 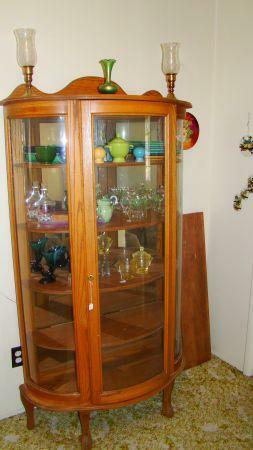 Beautiful Rounded Glass Side Oak China Cabinet. in remarkable Condition. Has (5) Levels. 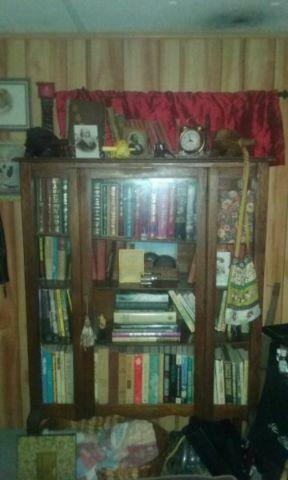 4 Shelfs. 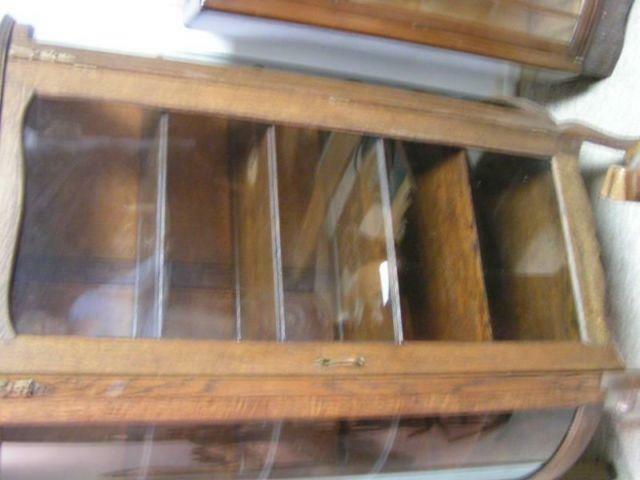 This is truely A Nice Collectible for the Antique Lover. and Collector. 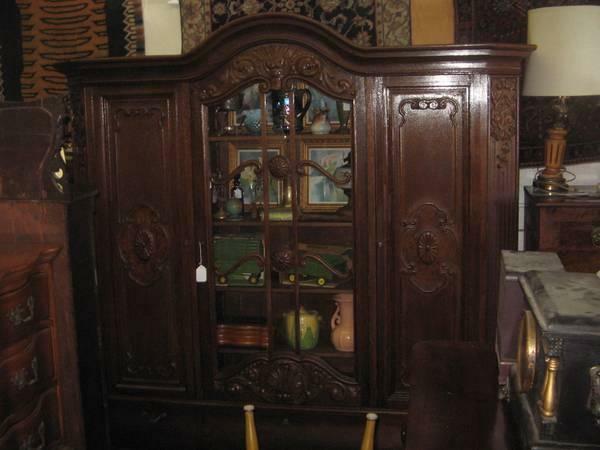 Asking 1200.00. 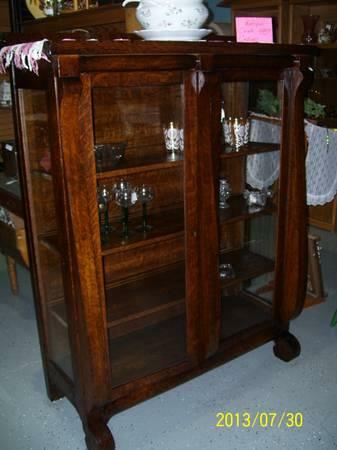 Reduced A Beautiful Solid Oak China Cabinet at a great price of 350. 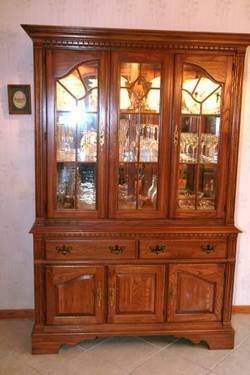 Solid Oak China Cabinet with Glass doors for sale.